The Pleasanton Express is pleased to announce the newest member of our advertising sales force, Megan Benishek. Megan was raised in Pleasanton and graduated from Pleasanton High School in 2003. She graduated from University of Mary-Hardin Baylor with a Bachelor of Arts in Mass Communication/ Journalism in 2008. While at University of Mary-Hardin Baylor, she earned several journalism awards from the Texas Intercollegiate Press Association and served three years on the school newspaper. Megan accepted a teaching assistant post for the Chair of the Communication Department which lead to a position working with the university newspaper. She found there a love for writing and design and a passion for a future in the newspaper industry. 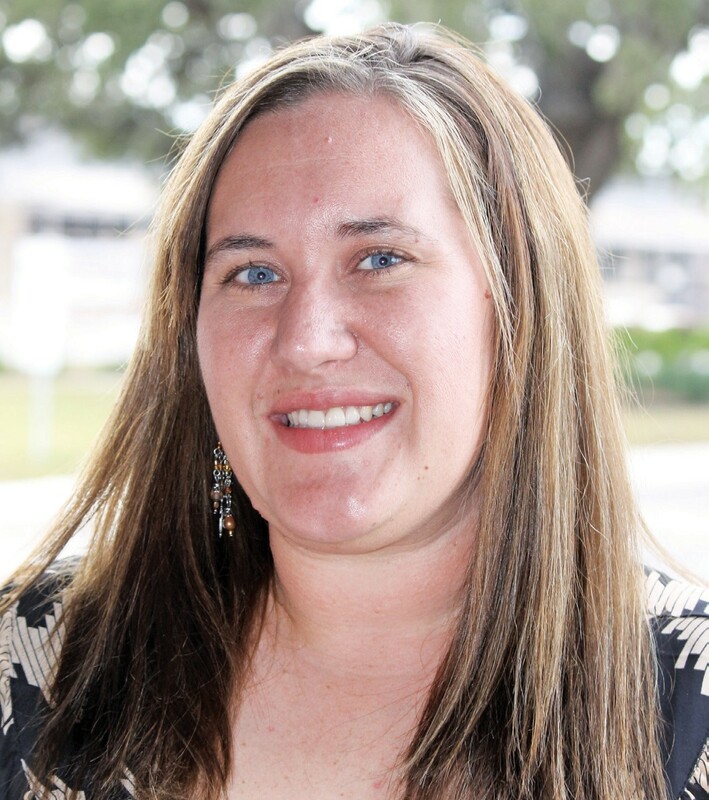 Megan interned for the Copperas Cove Leader-Press, an award winning weekly newspaper. While there she served as community reporter covering topics in healthcare, energy, government and technology. She also served there as photographer and designed pages for print and web. After graduating, she accepted a position at a radio station where she was charged with radio sales. She found that she had a talent for developing advertising plans that helped local businesses increase traffic and sales revenues. “I am very excited to be back where my heart belongs,” said Megan.” I have a two year old son and I want to show him how happy you can be when you follow your heart.” Megan’s love of sales is all in the family as her grandfather David Johnson has worked in sales for Kinsel Ford Motor Company for more than 10 years. Her grandmother is Neta Johnson, wife of David, and her mother is Julie Johnson all of Pleasanton. Megan is out and about in the community paying visits to advertisers. She is also active in community events such as the Relay for Life and Walk for Diabetes. If you have advertising needs or charitable events that need advertising promotion, please call Megan at (830) 200-6561 or (830) 569-6130 or email her at mbenishek@pleasantonexpress.com.